Costs – Philadelphia is a city full of history and trees. See what it costs for you to maintain part of its tree legacy, which has been integral to its culture since the 1980s. We have all the data you need before you call the professional. FAQs – Learn more about Philadelphia’s tree culture, including information on the state, common trees and fruit trees to plant, what not to plant, the tallest tree in the city, and more! Services – Keep the green growing in Philly. Call your closest professional today. We have the whole list. Philadelphia, Pennsylvania is all about mixing the green with grey. There are trees everywhere throughout the city, and the Parks and Recreation service offers free trees to its residents. If you have a free tree or just one that you’ve planted, make sure you’re taking good care of it. Tree removal in Philadelphia will cost residents between $719 and $1,015. Depending on extenuating circumstance like proximity to power lines or the home, removing the tree might cost more, but on average the quote will be somewhere around the figure of $867. Stump removal in Philadelphia will cost between $350 to $400 and take tree service professionals anywhere from two to three days depending on how deeply the roots are in the ground, the location of the stump in the yard, and whether they decide to just uproot it from the ground or start chipping it away first and then hauling it up from the ground. Tree maintenance in Philadelphia usually runs between $271 to $419, with an average quote usually around the estimate of $345. This can include pruning, trimming or cutting branches depending on the type of tree that the tree service professional will be working on in the yard. The Philadelphia Horticultural Society has been planting trees in the city since the 1980s, as well as countless homeowners and other groups non-affiliated with the society. If you are not part of this group but love trees, then all you need to do is get one and plant it. Add some more green to an already thriving city of trees. Philadelphia has no regulations regarding tree removal on private property, but they do require that branches be removed by the property owner if they are overhanging another owner’s property or the sidewalk and could harm someone. PECO, Philadelphia’s utility company, recommends residents plant a tree that will only mature at a height below 25 feet. They also regularly come around and trim vegetation near power lines, so they do not recommend residents doing it themselves. The best season to remove trees in Philadelphia is almost the best time to start planting them, which is in the fall. So when you’re taking a tree out of the ground, you can also have a new one on the side ready to put in the hole left by the old one. 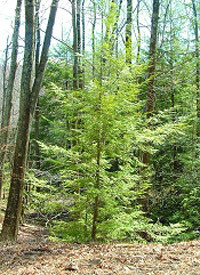 The hemlock (Tsunga canadensis) has been the state tree of Pennsylvania since 1931. They were used by the Quakers to build log cabins and to make tanning leather. This is one of the more popular trees in Pennsylvania forests. It grows very slowly, reaching maturity around 250 years of age and living almost 800 years. Blueberries, juneberries, figs, and apples are all trees that grow well in the climate of Philadelphia. It’s also possible for homeowners to grow fruit trees in their homes and on their roofs, if they decide to build a greenhouse or create a kind of rooftop garden. Nurseries in the area will be able to consult with you on the best fruit trees besides these four and recommend more indoor fruit trees to grow. Callery pear trees are trees that shouldn’t be planted in Philadelphia anymore, and that has more to do with its weak wooding than with the smell it puts off in the spring. 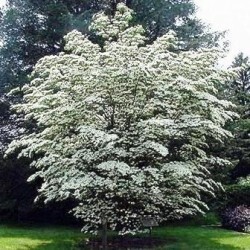 Unless you want a tree that can possibly fall on your house during a storm and smells like poo during the spring, it’s not a great tree to plant in your yard. The same goes for the Tree-of-Heaven in Philadelphia. While it sounds like a great tree by the name, it smells like rotten peanut butter and is also weak-wooded. Female ginkgo trees should also not be planted because their seeds can ruin lawns, but their male counterparts are safe bets. Cankers disease is a common blight in Philadelphia that happens when pruning causes breakage in a tree, which opens it to disease and causes discoloration. Vascular wilts disease occurs when a fungus infects and cuts off nutrient flow through the tree, which will cause it to immediately almost start to die. Anthracnose is another fungal disease in Philadelphia where the leaves begin to yellow or brown like they’ve been scorched by fire. Dutch elm disease is a deadly fungal infection that kills elms trees. Apple scab is a fungal infection wherein apples are tainted with scabs and usually can’t be eaten anymore.